Our talented staff and board members are based all around the country. We are all dedicated volunteers committed to serving the Taiwanese American community. Feel free to contact us! Leona was part of the inaugural graduating class of Fremont Taiwan School, an after-school program dedicated to Taiwanese languages, culture, and performing arts. She graduated from Washington University in St. Louis in 2018 with double econometrics majors and double minors in Poetry and American Culture Studies. Her debut poetry collection, Book of Cord, explores how state propaganda and lyric tradition inform diasporic Taiwanese identity. 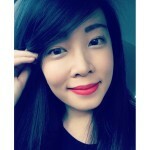 She grew up reading TaiwaneseAmerican.org (and following its founder around) and is delighted to now be at its masthead. 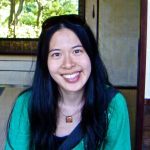 Anna graduated from Duke University with a self-designed major in Asian American Studies and Documentary studies. Her senior year, she obtained several grants to hang out in California and Taiwan and create a documentary film titled “Daiwan-lang: Taiwanese/American Identity”. 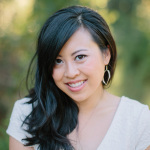 Now she’s living the dream out in San Francisco, California, owning and operating her very own wedding photography business, Anna Wu Photography. She also loves jetting around and exploring the world! Dot served as College Program Director for the inaugural Taiwanese American Next Generation [TANG] summer camp and grew up attending events from ITASA to FAPA to the Taiwan Study Tour (aka “Love Boat”). She studied piano at the Juilliard School of Music and earned a B.A. in English lit from Dartmouth College and an MBA in marketing and digital media from the Kellogg School Management. She used to manage SF/Fantasy franchises but now works with non-geeky startups and nonprofits. Dot currently enjoys Asian dramas, Kpop, suncakes from that famous Taiwanese place and Jeremy Lin’s mother. I support you, Mrs. Lin. 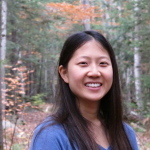 Raised in southern California and now based in Boston, Massachusetts, Pamela works in public health, specifically in the intersection of culture, food and active living. She is active in Taiwanese American Professionals (TAP) – Boston and the Intercollegiate Taiwanese American Students Association (ITASA). Some goodies that make her smile are fresh foods, nature, and the unexplored. Ho Chie is a founding Board Member who also wears many hats in the Taiwanese American community. 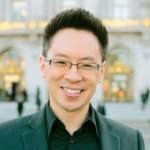 As a frequent speaker on the collegiate conference circuit and youth summer camp programs, a past Program Director and current Board Member of the Taiwanese American Foundation, and a founder of the Taiwanese American Professionals chapter in San Francisco, he hopes to inspire a renewed sense of pride in personal identity and to increase activism and involvement within the greater Asian American community. Ho Chie holds an Electrical Engineering BS degree from the University of Illinois Urbana-Champaign, a Bioengineering MS and an MD degree from the University of Illinois at Chicago. In his spare time, he works as a pediatrician. Margaret hails from New England, but now calls the Pacific Northwest home. She has served on the staff of ITASA, TANG, and TAF. Margaret is a graduate of Barnard College and the University of California, Berkeley, School of Law. When she’s not working as a civil rights attorney, she can be found catching up on television shows and movies, grilling and shucking oysters in her driveway, or hiking with her husband and corgi. 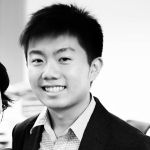 Nicholas (Nick) Huang is an Indianapolis attorney who graduated from the University of Michigan with a BA degree in Economics. Thereafter, he obtained his Juris Doctorate from Valparaiso University School of Law. Nick has a broad range of experience in international and domestic business and corporate transactions and litigation, real estate, homeowner’s association and property management, trust and estate planning and administration, and guardianships. He provides negotiation and litigation representation at the federal and state level. Grace studied Industrial Engineering at Georgia Institute of Technology and is currently a Manager of Supply Chain Strategy at Modalgistics. She has been involved in the Taiwanese community for as long as she can remember. In middle school and high school, she was highly active in the Atlanta Taiwanese community and also attended Taiwanese American Foundation’s annual summer camp. 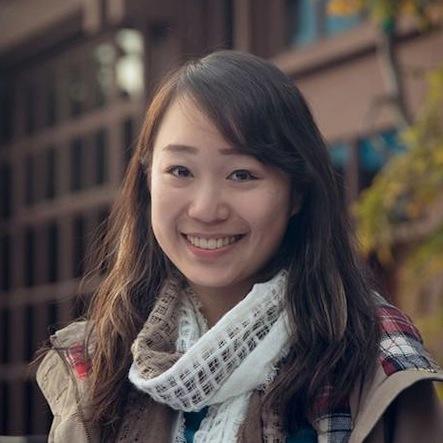 At Georgia Tech, she was an officer of Taiwanese American Student Association. After college, she returned to TAF to serve as a counselor for the Juniors Program, was an intern for TaiwaneseAmerican.org, and currently serves on the board for the Taiwanese American Professionals Atlanta Chapter. In her spare time, she likes to travel the world, eat delicious food, and dream about her next adventure. Kristina is currently a student at the UC Berkeley School of Optometry, after spending undergrad years also at UC Berkeley (Go Bears!). She served as the Director of Counselor Operations & Administration for the Global Leadership Organization (GLO), an intern for the North America Taiwanese Women’s Association (NATWA II), and National Programs Director for the Intercollegiate Taiwanese American Students Association (ITASA). In her spare time, Kristina loves to play board games, work on creative projects, plan events, fence, and travel back to Taiwan where she spent her high school years.